Over the years Monarchs have discovered several young riders with the potential to reach the top in Speedway. There is no doubt that Wayne Briggs, who joined us in 1961 at the age of 16, was one of these. 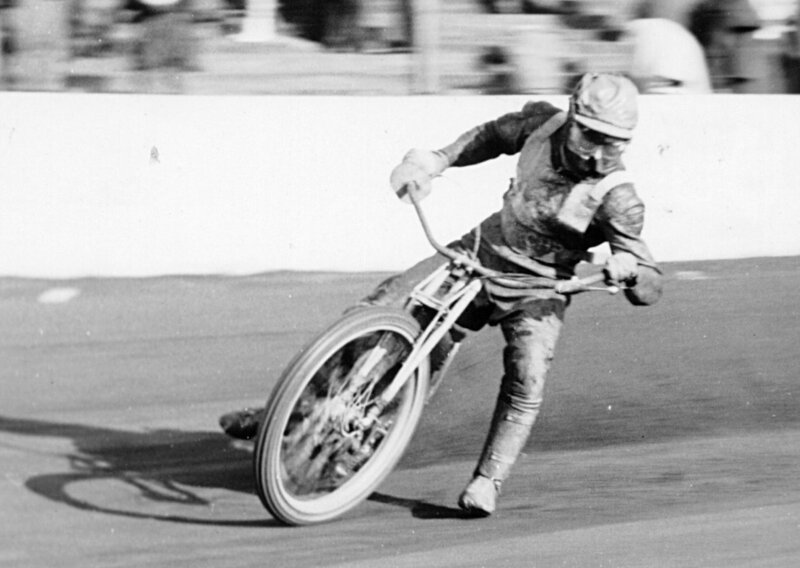 Although it was not made clear at the time, the younger brother of the (then) double World Champion Barry had actually had NO Speedway experience when he arrived in the UK, but it took him very little time to display a great talent, with a thrilling high-speed style. After a sparkling debut season he was voted the most promising Provincial League rider by Speedway Star. In his subsequent career though he enjoyed little luck - a serious eye problem (1962), broken wrists (1963) and a fractured pelvis (1964) took their toll. In between injuries his form was often brilliant - he had on his record away maximums and a runners up place in the 1962 Provincial League Riders' Championship. By 1965 the injuries had slowed him a bit, and although he performed well for Poole, Exeter, Monarchs again (1969) and Wembley, his early promise was never quite fulfilled.